Public Art Fund unveiled its third summer 2018 installation this week in City Hall Park. 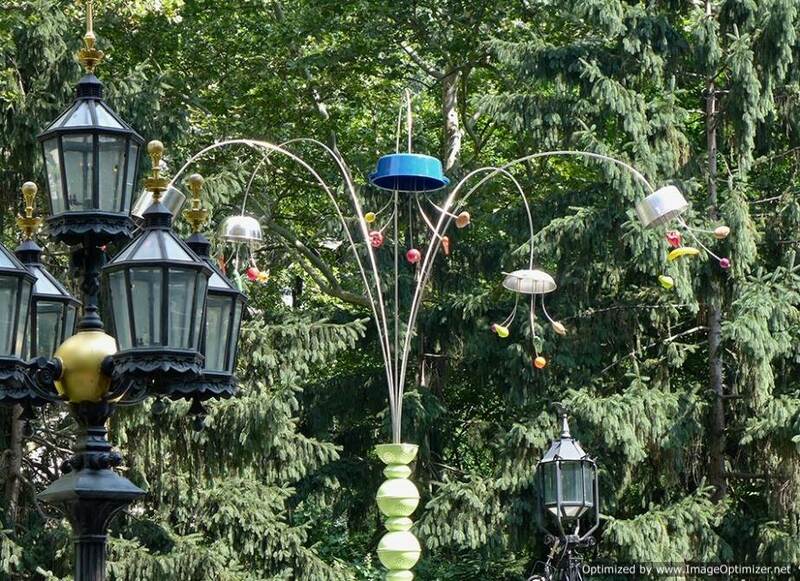 The installations, entitled Kitchen Trees is the debut public art commission by New York-based artist B. Wurtz. This playful exhibition temporarily transforms the civic space of City Hall Park with five imaginative arboreal sculptures. They appear to grow like an oasis around the park’s historic fountain, echoing its circular forms and the spray of its jets with a splash of whimsy. Their composition is poised between meticulous order and energetic spontaneity, just as they simultaneously mimic and contrast the natural flora nearby. In partnership with the Public Art Fund, The Beekman hosted a celebratory opening dinner on the Turret Penthouse terrace, overlooking City Hall Park.